There’s nothing quite like dropping the needle on your favorite records. The physical experience of analog audio is magical, and it’s been made all the better in recent years. Thanks to the recent vinyl revolution, there are now a growing number of pressing plants squeezing our favorite sounds onto disc — heck, there’s even one company trying to create records with a laser. The best turntables let you get the most from your collection, transferring the nuanced sounds of your favorite artists from the disc to your eardrums. This list of our favorites doesn’t offer lavish $40,000 models, instead highlighting cost-savvy players that range from entry-level options to the kind of audiophile-grade devices that will last a lifetime. Also, be sure and check out some of our links to the left for even more options, how to set up a turntable (the importance of which we can’t stress enough), and more. Why you should buy this: Audiophile-grade components, gorgeous looks, insane build quality. Who it’s for: The serious vinyl collector who is looking to upgrade to a turntable that will last them a lifetime. It requires a significant upfront investment, but the European Audio Team (EAT)’s B-Sharp turntable delivers the kind of high-end sound that will last you a lifetime. A beautiful turntable with a custom-designed suspension system and carbon fiber tonearm, the B-Sharp comes equipped with a beautiful Ortofon 2M Blue moving magnet cartridge, which helps it pull out every subtle musical timbre in your vinyl. Special feet help isolate the turntable from its position on your record stand or bookshelf, and keep unwanted rumbles to a minimum. Another cool thing about the B-Sharp is that it comes with a built-in record weight: A threaded weight screws onto the middle of the deck, allowing you to get gorgeous, punchy low-end from your records. All that, plus an insane overall build quality makes that EAT B-Sharp the model to get if you’re looking to buy a turntable that you’ll be able to pass down for generations. In fact, when you look at the quality of components and top-grade features offered by the B-Sharp, it actually offers one of the best values in the high-end audio universe. It’s hard find a better entry-level option that Audio-Technica’s classic LP120. This rectangle of sparkling chrome might not be as fashionable as some of the others on our list, but it still looks and sounds good, and at a very enticing price to boot. The Audio Technica AT-LP120 is a go-to starter turntable that’s rugged and reliable, and has been a favorite of analog listeners for decades. For a bit more dough than the cheapest beginner models on the market, it also offers a slew of features like a selectable internal preamp so you won’t need a phono input, a USB output to capture your vinyl in digital form, auto return (so you don’t have to babysit your records), and three speeds to handle virtually anything in your collection. Whenever people ask us what the best first-purchase turntable is — and they ask us a lot — we always point them to the LP120. It’s the Honda Civic of turntables, and we’re still big fans after all these years. How much it will cost: $290 to $400. For a little more money than the Audio-Technica LP120, style-conscious listeners can get an absolutely beautiful piece of analog audio gear. U-Turn’s Orbit Plus is among the best-sounding and most beautiful turntables you can buy at any price, and that’s largely because of its simplicity. You’ll have to pay extra for a built-in preamp ($70), there’s no USB connection, and there’s no automatic return. 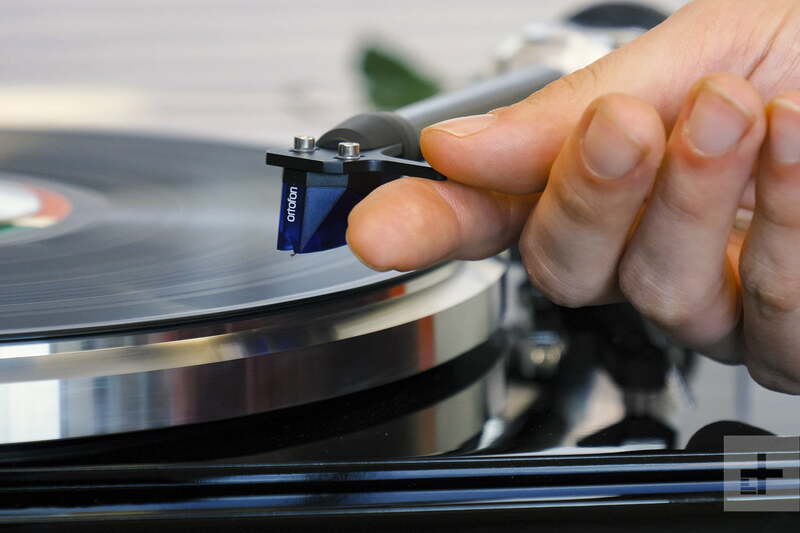 Even a cue lever ($40) is optional, so most users will have to manually set the needle, as well as manually adjust the belt to switch between 33 and 45 RPM speed settings. All of this may be daunting for newcomers, but those who can accept that will find a sturdy turntable that runs quietly and sounds great, with elegant design cues like the above-board belt that allows you to watch the motor spin your favorite discs. Also, the lack of options lets U-Turn focus on quality. The Plus comes with an excellent Ortofon OM5E cartridge, and the high-mass acrylic platter will keep your vinyl spinning smoothly, making for a beautiful long-term investment that will shine for years to come in your listening space. Why you should buy this: Insane durability and decades of use by the top DJs on earth make the Technics SL-1200 the best deck for musicians. Who it’s for: The vinyl-loving DJ who wants a turntable that can take a licking and keep on spinning. Since it was first introduced in 1972, the durable Technics SL-1200 turntable has grown to become a legendary piece of audio gear, easily the most common turntable used by professional DJs around the world. Known for its high-torque direct drive motor, the turntable is robust enough to withstand thousands of hours of scratching and manhandling, offering the kind of consistent performance DJs need on stage and in the studio. The original SL-1200 model was discontinued in 2010, but remained so popular that Technics began manufacturing newer, higher-end versions in 2016. Whether you spring for the more expensive newer model or a classic from the original production run, we’re sure you’ll be happy with your purchase. This is the kind of tried-and-true model that will be spinning for decades to come. Those with the rarest collections will love the Sony PS-HX500 for its preservation abilities. Though it has the chops to play back your favorite records with brilliant clarity and warmth, it’s specifically designed for those who want to digitize their favorite analog music in high resolution. Paired with a special high-fidelity recording app, the player utilizes a Texas Instruments analog-to-digital converter that transfers at a bare minimum of 16-bit, 44.1kHz CD-quality resolution. That’s just the baseline in terms of digital conversion quality: Sony’s deck can transfer files up to 24bit/192khz and even 5.6MHz DSD — the highest quality of any USB turntable of its kind. The price is on the high side for a device that’s mostly meant to help you archive your music, but if you want to both play back your vinyl and preserve it for the virtual age without spending a ton of cash on fancier outboard gear, this turntable is the way to go.